Last updated by Frankye at August 24, 2016 . 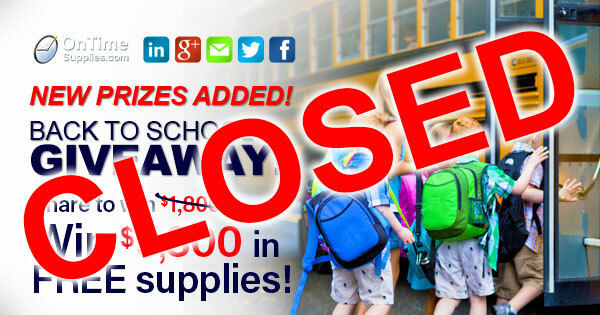 Our back to school giveaway contest is now closed! My favorite student is hard to pick, but I would have to go with Jasmine Davis. Jasmine was a full time collage student, double major and still worked 40 hours a week + and always had a smile on her face. She never complained about her studies or work and was always willing to go the extra mile for anyone. She is a true inspiration and I am proud to say that I know her. She has deeply impacted my life! We were touched and inspired about your comments on teachers who inspired you. We have been very fortunate to receive extra donations and we would like to share those gifts to you! A few additional people have been chosen to receive these additional gifts and will be notified by e-mail. Have a great 2016 school year! Didn’t win the giveaway? 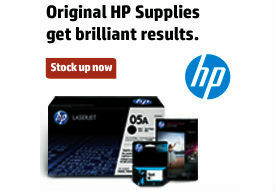 No worries, you’ll find the best deals on school supplies online at OnTimeSupplies.com. And keep watching the Office Ink Blog for more chances to win free products from On Time Supplies! 2016 Back to School Giveaway Prize Package. • $130 worth of Avery Labels. • $300+ in organizers from Avery and Quality Park. • $300 in Scotch Tape, Post-it Notes and more from 3M. • $400 in Pens, Pencils, Correction Tape and more from Pentel, Tombow, and other top brands! • $390 in classroom arts and craft supplies from Avery, Fiskars and X-ACTO. • $250 in first aid and hygiene supplies from Curad, Dial, LYSOL and Kleenex. The 2016 Back to School Giveaway ends August 19, 2016. We’ll announce the winner Wednesday, August 24th. The contest is open to residents of the continental U.S. over the age of 18. All prizes subject to availability and subject to substitution. We are thrilled to announce some fantastic news about the Back to School Giveaway at On Time Supplies! Universal and TOPS Products came through strong, together donating $4,000 in essential school supplies! 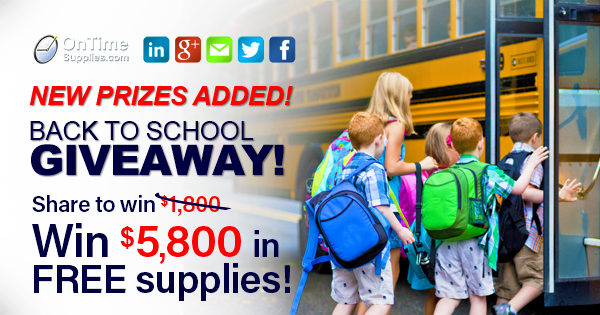 Now the Back to School prize package is worth a whopping $5,800!